Runway shows are never silent. The collections illicit a mood dramatized by sound, as the beat keeps the passing elements in step. The shows are a carefully orchestrated, sometimes theatrical, displays. They are a confluence of players, costumes, music, and lights. Michel Gaubert is fashion's most prominent sound stylist. Neither composer nor DJ, he's simply a man with a vast collection of music stored onto his iPods and laptop. As a go-to for Karl Lagerfeld, Gaubert has subsequently mixed tracks for the shows of Balenciaga, Dries van Noten and Raf Simons, to name a few. Gaubert's Instagram account is one of the coolest we've seen, with over 8,000 some-odd affirmations of his quirky sensibility. 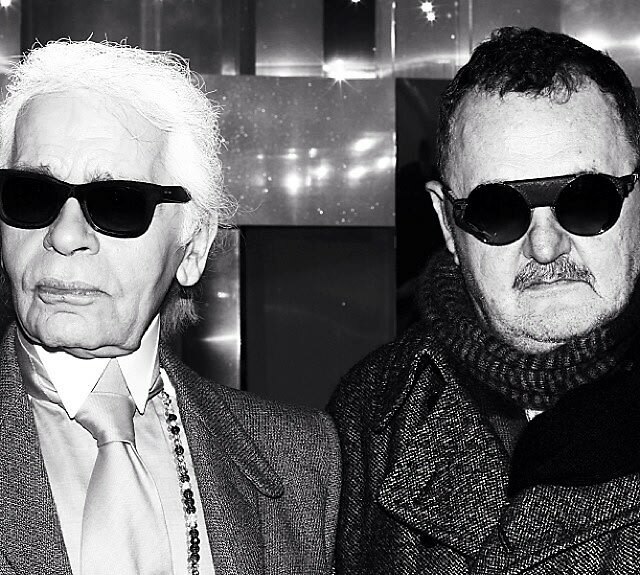 Here, we explore the inner world of Gaubert, a key player in the behind-the-scenes of fashion.